Before buying these conga we made quite an intensive research. The fact that you couldn't try such instruments made our decision a bit more difficult. But, we do not regret our choice. Our research paid us back cause we're very happy with this set of conga. Portability, sound and finish are their major pluses. I've seen other sets which are quite large and might not be the ideal conga to carry around for frequent gigs. 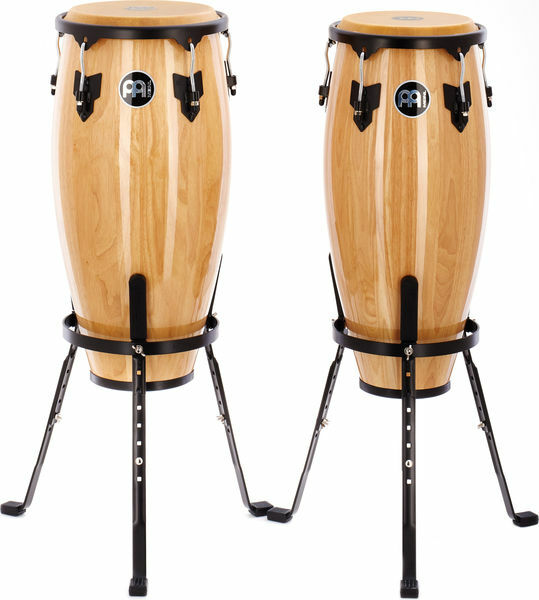 We purchased these together with the Meinl Bongos which made them excellent partners. We tuned the conga (there again after another research) a perfect fourth apart and bongos a third apart. We even tried other cheaper congas which our friends bought, but the extra money we paid for these congas are there - sound, wood finish and portability. ID: 219152 © 1996–2019 Thomann GmbH Thomann loves you, because you rock!